It is that time of year when TV Week asks its readers, and the wider TV viewing population, to vote for their favourite personalities and programs for the annual TV Week Logie Awards. These days, viewers can vote for the awards without having to buy a copy of TV Week. In the past, votes could only be made via coupons printed in the magazine or by using a unique PIN printed inside the magazine when voting online. However, despite the voting being conducted online for a few years now, the online interface used to collect the votes is essentially just a basic web poll. None of the glamour or excitement of TV’s night of nights here. No colour. No pictures, or even video clips of the people we are being asked to nominate (and this can be handy when trying to identify some of today’s TV starlets who aren’t easily recognised by name alone). In fact, voting for your favourite TV stars and programs now looks to be as clinical and enjoyable as filling in your average tax return, especially now as the stars and shows are reduced to mere numbers or tick boxes. Most Popular Presenter: Larry Emdur (The Morning Show), Kylie Gillies (The Morning Show), David Reyne (9AM With David And Kim), Kim Watkins (9AM With David And Kim), Sandra Sully (Ten News), Dave Hughes (The 7PM Project), Peter Everett (Ready Steady Cook), Sam Pang (ADbc), Grant Bowler (Border Security), Ed Kavalee (TV Burp), Daryl Somers (Hey Hey It’s Saturday – The Reunion), Jonathon Holmes (Media Watch), Magda Szubanski (The Spearman Experiment). There also seems to be some inconsistency in what qualifies as “presenter” – Masterchef’s three judges are listed as potential nominations for the category, but the show’s (then) host, Sarah Wilson, is not. The Biggest Loser’s fitness coaches, Shannan Ponton and Michelle Bridges, are listed in the “presenter” category, but the show’s (former) host, Ajay Rochester, is not. The Seven Network’s talent quest, Australia’s Got Talent, gets a guernsey, with host Grant Denyer and judge Dannii Minogue qualified for a mention, but no mention of Minogue’s colleagues, Red Symons and Tom Burlinson. For rival show Australian Idol, Andrew Günsberg is listed as host, but no mention of any of the show’s three judges, Ian ‘Dicko’ Dickson, Marcia Hines, Jay Dee Springbett and ousted judge Kyle Sandilands (who did appear in the preliminary stages of the show in 2009). SBS newsreader Anton Enus qualifies for a vote, but his weekend counterpart, Lee Lin Chin, does not. Australia’s Got Talent qualifies in the category of “most popular light entertainment program”, but a rival show of essentially a similar format, Australian Idol, is categorised under “reality”. Most Popular Light Entertainment Program: TV Burp, Hungry Beast, Double Take, Are You Smarter Than A Fifth Grader?, Hot Seat, The Einstein Factor and The New Inventors are all missing from the nominations list. The one-off special Rove Presents Hamish And Andy’s American Caravan Of Courage is allowed to be voted, but another one-off special from the same network, Shaun Micallef’s New Year Rave, is not. These are just the omissions noticed by this one author. 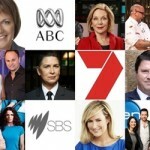 There may be plenty more that TV Week and the networks have failed to acknowledge as being worthy of a vote – and yet the Logie Awards are intended to be the ‘people’s choice’ awards covering all the various genres of television and allowing all on-air talent – with the only eligibility being that they appeared in a credited role during the 2009 television year – an equal opportunity of being voted for. It is surprising that, after 52 years, TV Week and the publicity agents from all the networks can not get together and muster up a complete list of eligible personalities and programs and be consistent in what, or who, qualifies for a particular category. The gaps in these voting categories only serve to add ammunition to growing public sentiment that the Logie Awards are no longer a credible recognition of the achievements of our television industry. 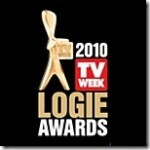 TV Week’s Logie Awards site (with the link to vote online) is at tvweek.com.au. I agree with everything you said. As a loyal reader of TV Week and a proud viewer of Aussie TV, it's a shame that these ballots has been so poorly dealt with. I should have also added that, like you Anthony, I am a great fan of TV Week and have been reading it now for over 30 years. So it does pain me a lot to criticise them. But I do feel that the way the voting of their premier annual event is being carried out is not going to do them any favours.